I recently switched to Jekyll and was wondering how I could easily jump to old posts without displaying the famous “Last posts” menu. 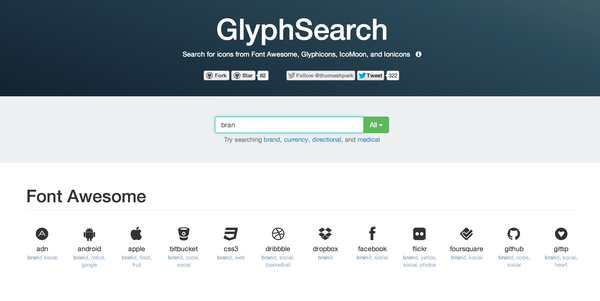 I took the liberty of forking the project to plug Algolia’s Search API and provide a better search experience: https://github.com/thomaspark/glyphsearch/pull/1. On September 15th, after 5 years at Exalead managing a team of 20+ developers in charge of core technologies; I joined Algolia. Algolia has been founded 1 year ago by Nicolas Dessaigne and Julien Lemoine, two past colleagues from Exalead. Algolia provides a fully hosted full-text, numerical and faceted search service through a REST API. As all newly-founded startups, lots of things - technical or not - to do; lots of challenges to face; lots of ideas to prioritize; lots of code to write and redo. I’m really proud to be the first employee of Algolia and hope my 5-years experience on search technologies will contribute to Algolia’s success story. PS: I’ll try to use this new start to keep a sustained blogging tempo.